Hair looks visibly fuller. Hair feels energized and more abundant to the touch. 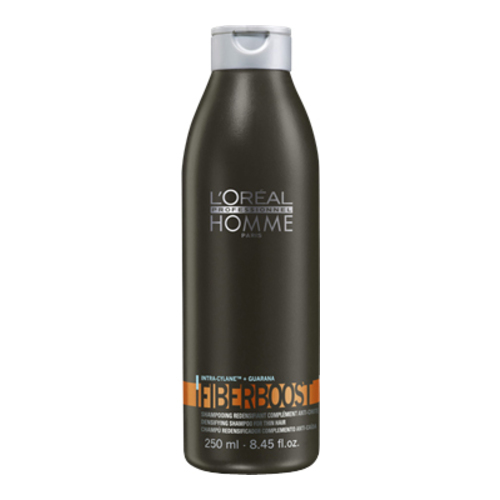 Fiberboost by L'Oréal Professionnel Homme redensifies your hair for a visibly fuller effect thanks to its patented Intra-Cylane, capable of penetrating to the core of hair fiber to create a flexible, and resistant molecular network that fills out and strengthens the fiber, and Guarana to maximize energy levels.